Improve Your Financial Reporting & Financial Statements! 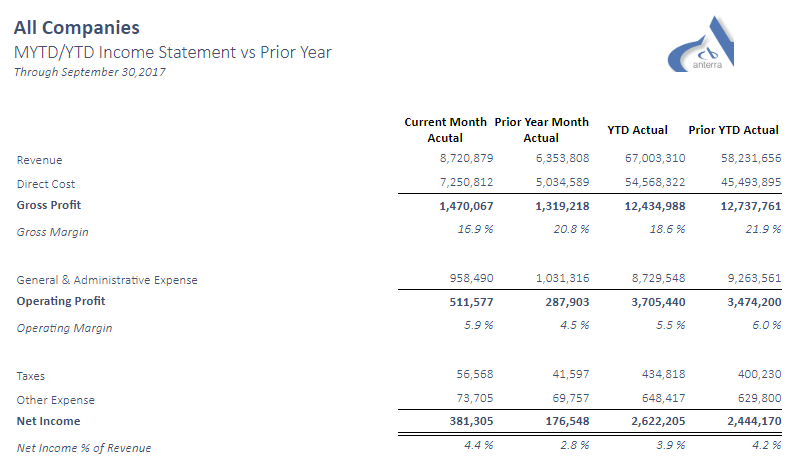 Build your own dashboards and statements that connect to your accounting system. 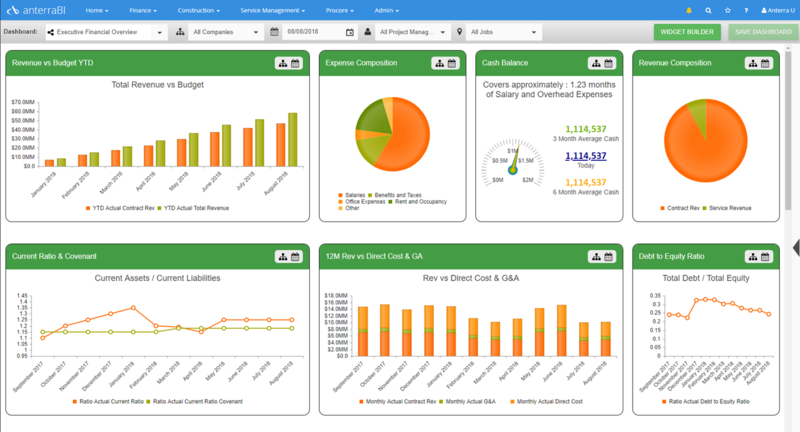 Anterra provides enterprise quality financial dashboards and reports. We deliver world class reporting across your organization. 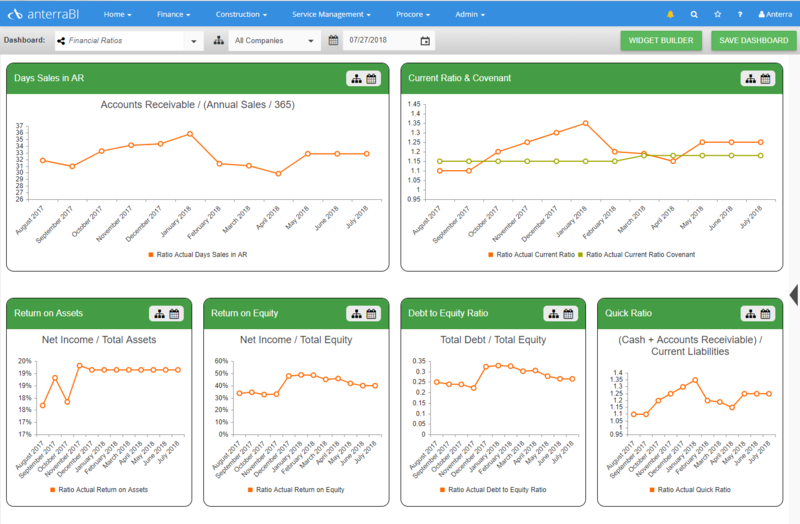 anterraBI™ contains drill through financial dashboards, financial statements, construction dashboards and reports, real estate dashboards, scorecards and analytic tools to quickly see where you are performing outside of your plan. Build your own dashboards and reports. You can build financial dashboards with your own calculations. Choose from bar charts, line charts, pie charts and build them with calculations based on your chart of accounts. All dashboards and reports drill to transactions. You can build a financial ratio graph with any ratio calculation and its covenant to see your performance over time. When you click on a graph you drill down to the calculation components, drilling on any component takes you to the underlying transactions. Anterra provide pre-built financial widgets for common KPIs like Cash, Accounts Receivable and Accounts Payable. You can build your own trend charts, bar charts, pie charts or stacked bar charts based on calculations you create from your chart of accounts. You can compare budget vs actual in any calculation. Examples of widgets include – NOI or EBITDA vs budget, year over year revenue, gross margin or OPEX and breaking down revenue by source. You can continue drilling on any column all the way down to transactions. 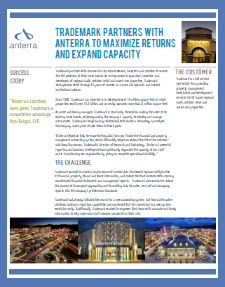 We have worked with clients around the world to develop reporting with built in best practices. We use the best reporting technology available. Let us manage the technology while you focus on your business. anterraBI™ has dozens of pre-built dashboards and drill through grids for finance – videos coming soon!